Need To Cool Off? Check Out These Boulder Area Public Pools! Meadow Music Is The Coolest Kid’s Environmental Musical Education Program In Boulder! Meadow Music is an award winning kids’ environmental education program offered for free in Boulder, Colorado. Summer of 2016 marks its 12th anniversary! Join Jeff & Paige for free concerts at Chautauqua. Meadow Music happens most Monday evenings in the summer from June-August. After the hike return to Chautauqua Green for a concert full of Jeff & Paige’s original nature and science-based music. The concert starts around 6:00pm and ends by about 7:00. Bring a blanket to sit on, a picnic and some silliness. June Is Boulder Bike and Walk Month – Here’s How To Get Involved! June is Walk and Bike Month in Boulder! Want to get involved? Here is a list of all the bike and walk opportunities for the week of June 6, 2016. 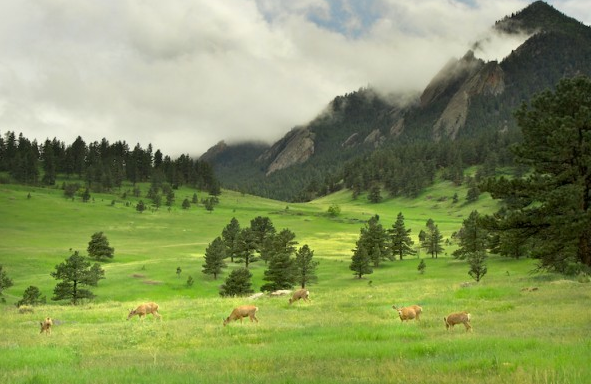 Meadow Music is an award winning environmental education program offered for free in Boulder, Colorado. Summer of 2016 marks its 12th anniversary! Join Jeff & Paige for free concerts at Chautauqua. Meadow Music happens most Monday evenings in the summer from June-August.